If you’ve got a small business that needs to make a big impression, you want the best writing and design available. For many people, that means hiring someone else to do it for you. But if you’re short on cash, that means YOU get the privilege and honor of crafting your messages. That’s where this course comes in. It’s meant to take you through the process — one day at a time — of unpacking what’s truly important to YOUR ideal customers, and then serving that up in a way that will connect with them on that level where need and desire live. You can only share what you’ve got to offer to the right people at the right time. From your heart. How long will this take? If you’re like most folks, a couple of months. Maybe longer! Although, if you’re totally focused and have nothing else to do, you could probably whiz through the exercises in just a few weeks. But anything worthwhile takes a little bit of time. And you can’t rush things like inspiration. 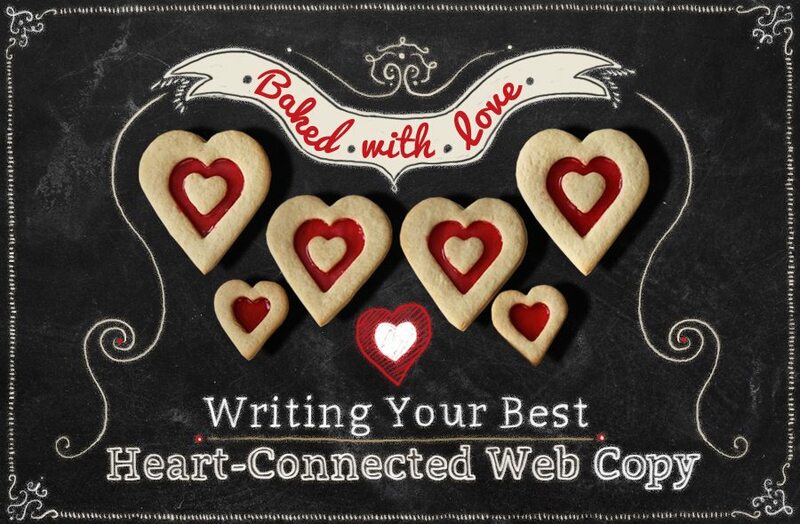 So take a deep breath, commit to the process and let’s see what ingredients you’ll need to create website copy that connects you to your right people. Assignment #7: Where Do They Go Next?